If you want to make the most of your weekend in Hobart, a tailor-made tour is just the ticket! 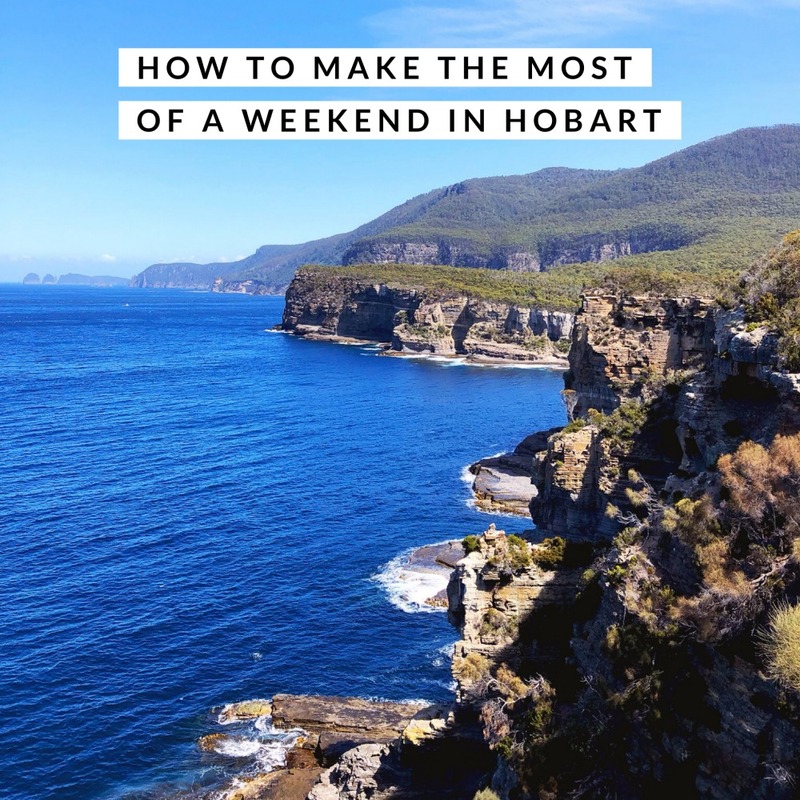 Although there is so much to see and do in Hobart without a car sometimes you just want to venture a little further but don’t want to hire a car to do it. Or is that just me?! We’re only in Hobart for the weekend and are running on the Sunday, so our only free day is Saturday which is Salamanca Market. We missed the market on our trip last year and my FOMO is still real. Do you have any idea how hard it is to find a small group tour that allows you to visit the markets and Port Arthur on a Saturday? Well, I’ll tell you. It’s so hard, it borders on impossible, unless of course, you book a tour with Heather from Let’s Show You Tasmania Tours who makes the impossible totally possible. 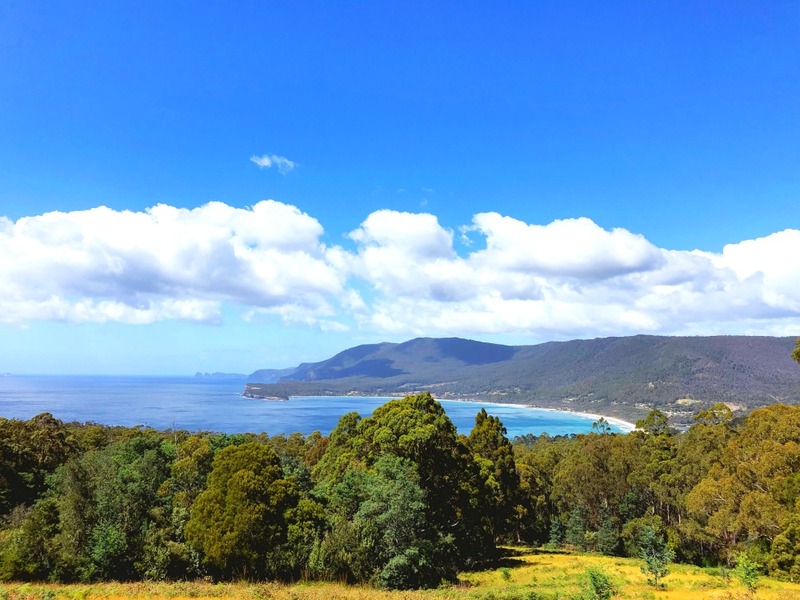 Heather is the longest running tour operator in Tasmania and for good reason – not only she is a Tassie native with a wealth of local knowledge, she also designs tours so that the itinerary fits your schedule and not the other way round! Tailor made touring is something I can totally get on board with! Heather’s tailor made taster tour is perfect for weekenders like us, short on time but with a big appetite for adventure. Heather picks us up from the markets at 10am which gives us plenty of time to check out our favourite stalls, grab some brekkie and enjoy the market before it gets too busy! We hop on board the bus and head out of the City, driving through teeny tiny towns and villages and make a quick pit stop at this lookout to check out the spectacular panorama of Pirate’s Bay where our cameras get a thorough workout. Without further ado, we arrive at Port Arthur. 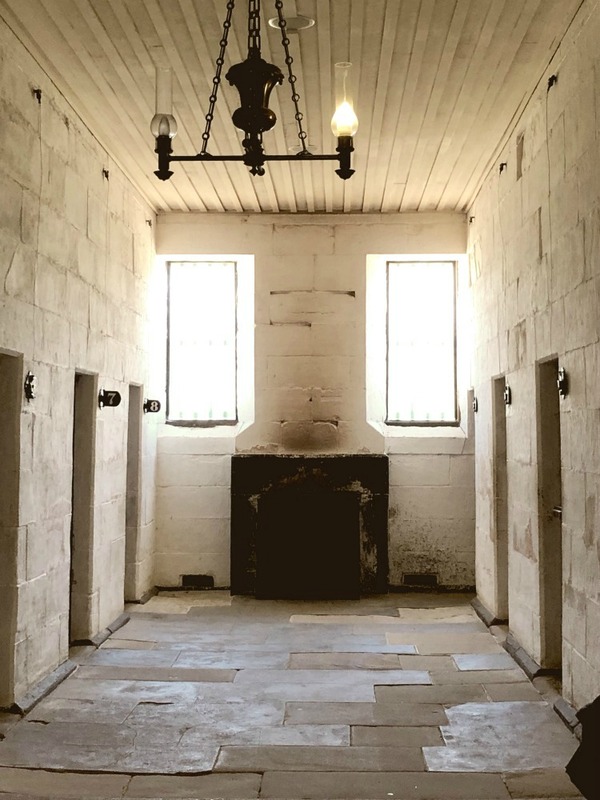 Now, there’s no denying that you can easily spend a whole day at this Penal Colony turned Historic Site and although we only have a few hours, we make good use of our time. 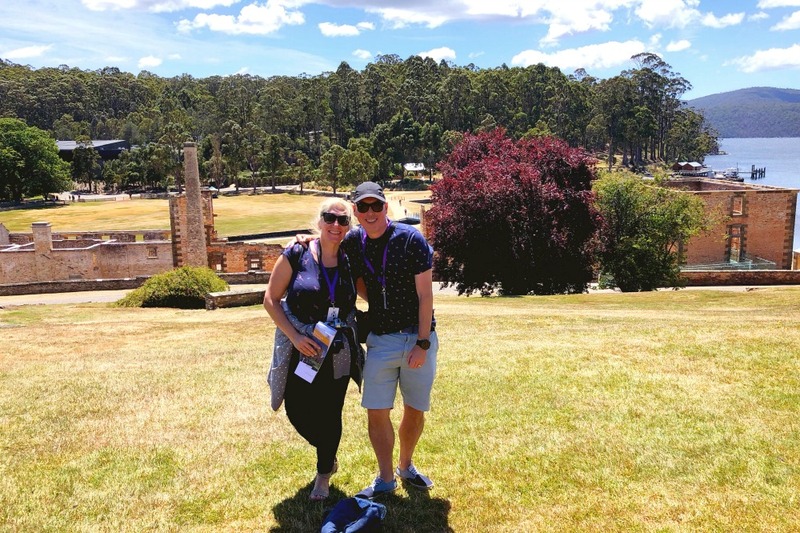 Although we don’t join the official guided tour, our fellow tour mates, Doug and Georgina give us the lowdown because they have visited before and are Port Arthur veterans. 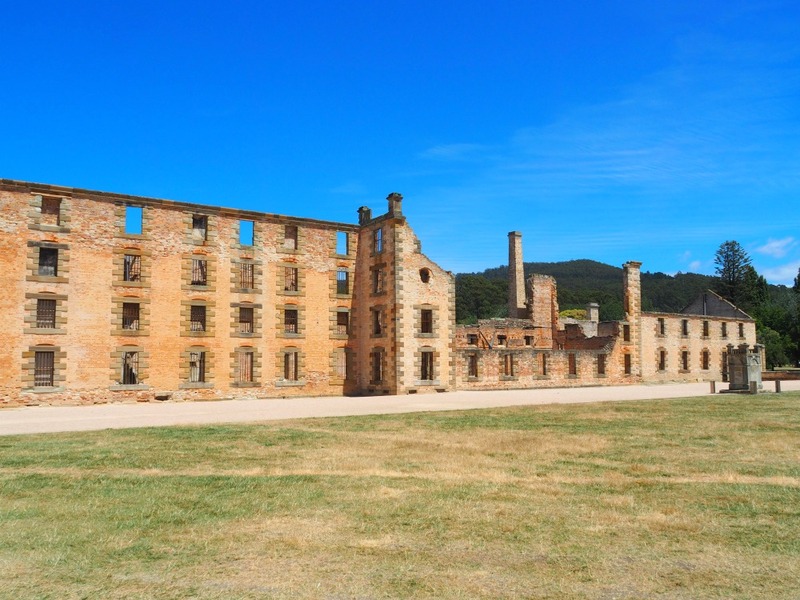 It turns out Saturday is a great day to visit Port Arthur because despite the wonderful weather the place is almost empty. Clearly, we must have left everyone at the market! We manage to see most of the historic buildings, ruins and restored houses and let’s not forget the outstanding heritage gardens. With the sun shining and everything looking so pretty, it’s really hard to imagine the horrors that happened here in both recent and more distant history. Talking of history, I wish there had been more information about it displayed around the site. However, the 25 minute boat cruise more than made up for it with an informative and enlightening commentary of life in the colony. The views were pretty amazing too! All that touring has worked up quite an appetite so we stop off at Port Arthur Lavender for sustenance. There is a delightful little cafe with seating inside and out and because the weather is so glorious we grab a shady spot outside. 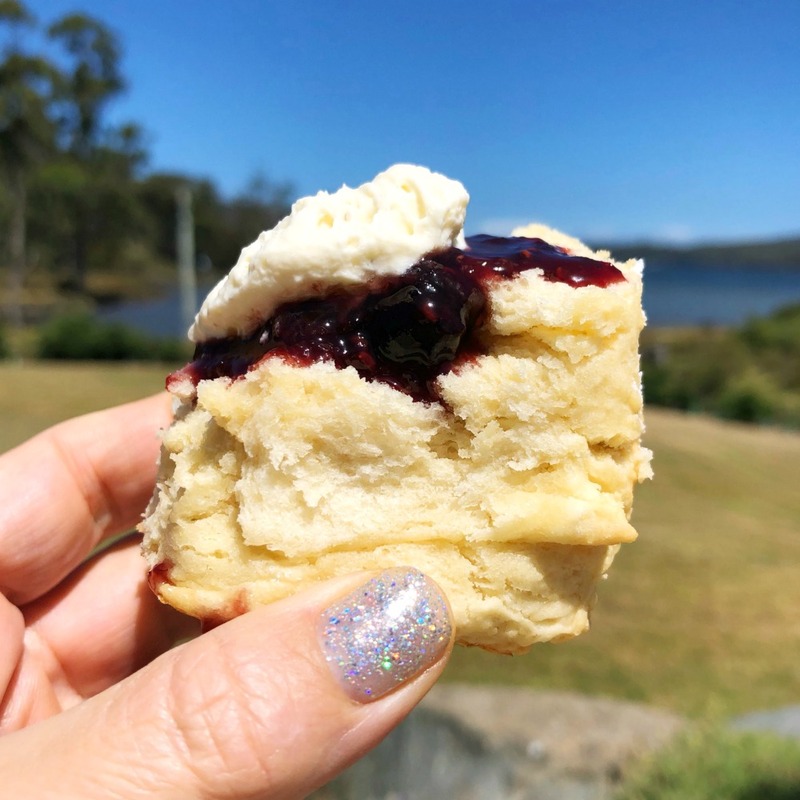 I cannot resist some of the famous scones served with lavender cream (don’t worry, they serve them with regular cream if you prefer. ) The lavender cream is lovely, light and most pleasing and if you are feeling especially brave you can wash it down with a cup of lavender tea! The views outside are wonderful with the lake, the rose garden and if you’re lucky you might see some black swans too! Don’t miss the beautiful lavender fields, they’re so pretty. The cafe has an abundance of lavender themed and non-lavender food and drinks and the shop has a wonderful range of lavender anything and everything. It’s impossible to leave empty handed… I know because I’ve tried! It’s time to swap our historical hats for geological ones. No one knows how the Devil’s Kitchen got it’s name but one thing is for sure, it sure ain’t a kitchen! Once upon a time it was probably a sea cave or tunnel but the roof collapsed and now it’s a deep and very impressive looking trench that has been carved out by the Tasman Sea. A short walk away is the Tasman Arch which is basically all that is left of a sea cave or tunnel that has been created by the wind and waves over millions of years. This huge bridge of solid rock is quite a sight to behold. 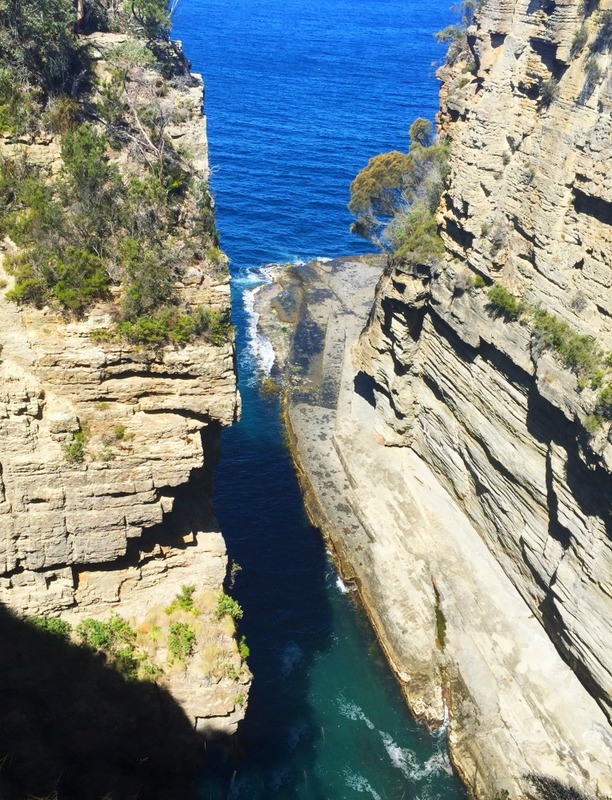 One day, the arch will collapse and it will look like Devil’s Kitchen so don’t wait to long to take your trip to Tasman National Park ‘kay? 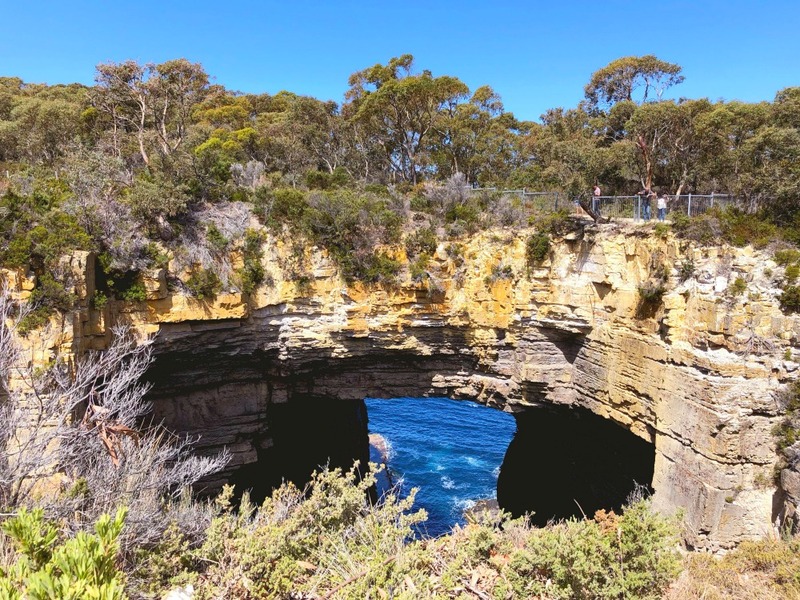 We hop back on board the bus and make the couple of minutes drive to the heart of Eaglehawk Neck and the blowhole which like the Devil’s Kitchen and the Tasman Arch has been formed over millions of years from water and wind erosion. It’s an easy walk to the viewing platform and the power and the splash (or should I say smash?) of the waves on the rocks is really impressive. However, I’m so obsessed with trying to get a video of the crashing waves that I forget to take a photo! I didn’t forget to take a photo of my enormo-ice cream though! 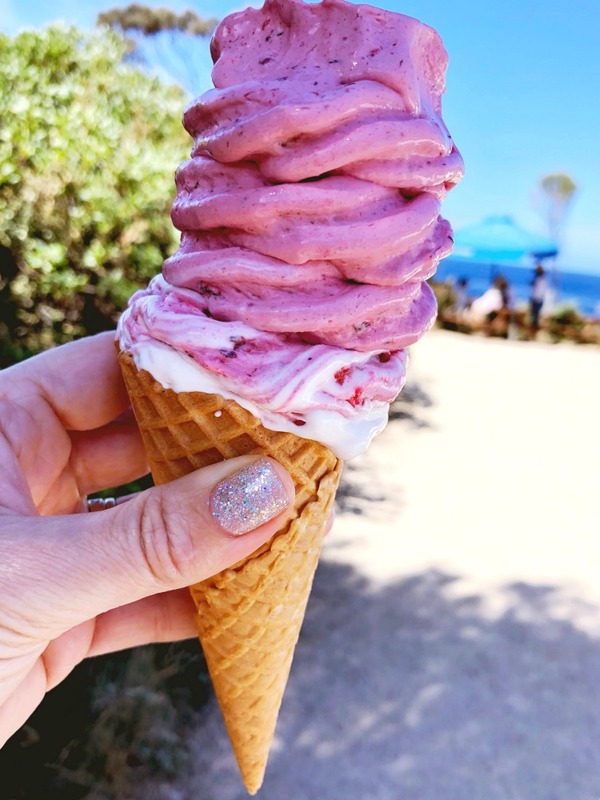 We follow Heather’s advice and grab a fresh berry ice cream from Doo Lishus which apparently also sells a mean scallop pie. I can totally vouch for the former and just wish I had had stomach space for the latter. And in case you’re wondering, these serves are as big as they look! And then, with a belly full of ice cream, a camera full of pictures and a heart full of memories we head back to Hobart. 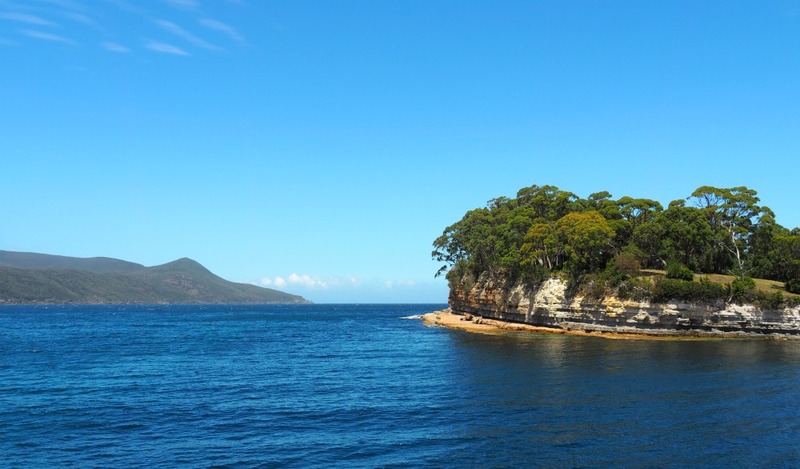 One thing is for sure Let’s Show You Tasmania Tours certainly lives up to it’s name! 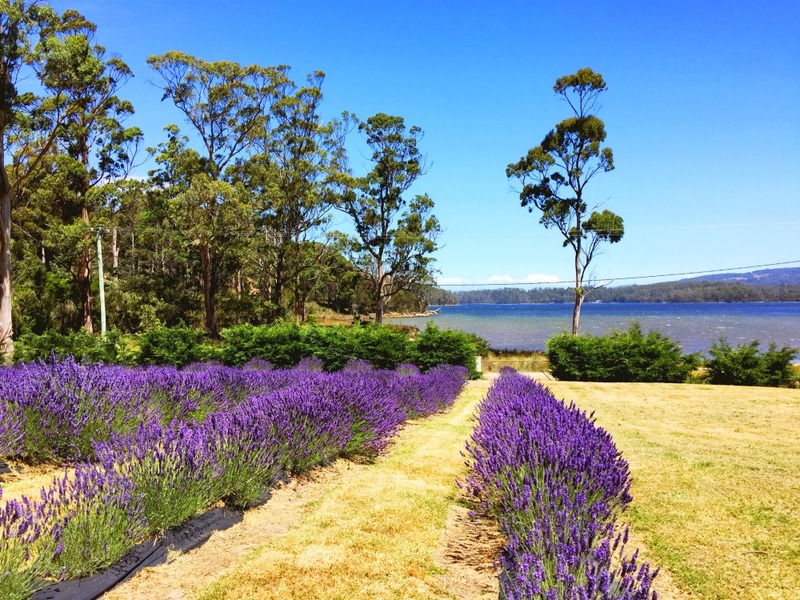 Heather has a huge range of tours to choose from – including wine tours, night time tours, extended tours around Tasmania – and if you want something to tailor made to your tastes, she’ll be happy to show you Tasmania. 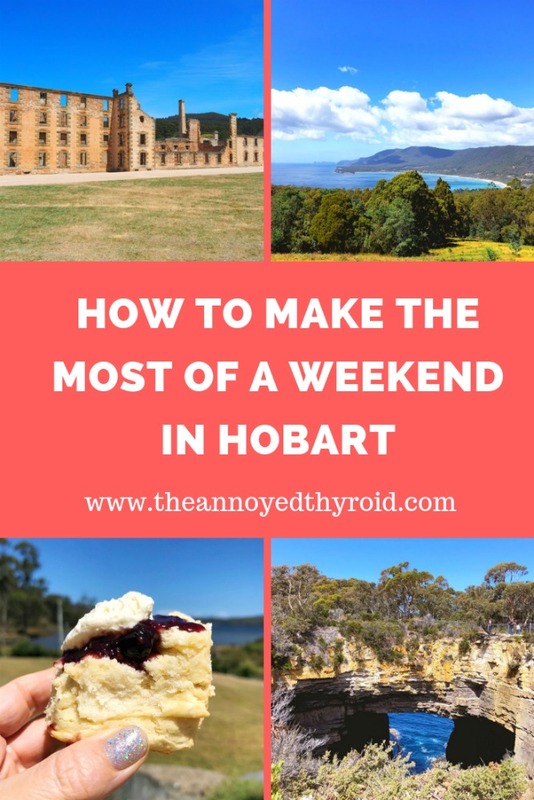 If you had a weekend in Hobart, what would you like to see? What’s your favourite thing to do on a weekend away? 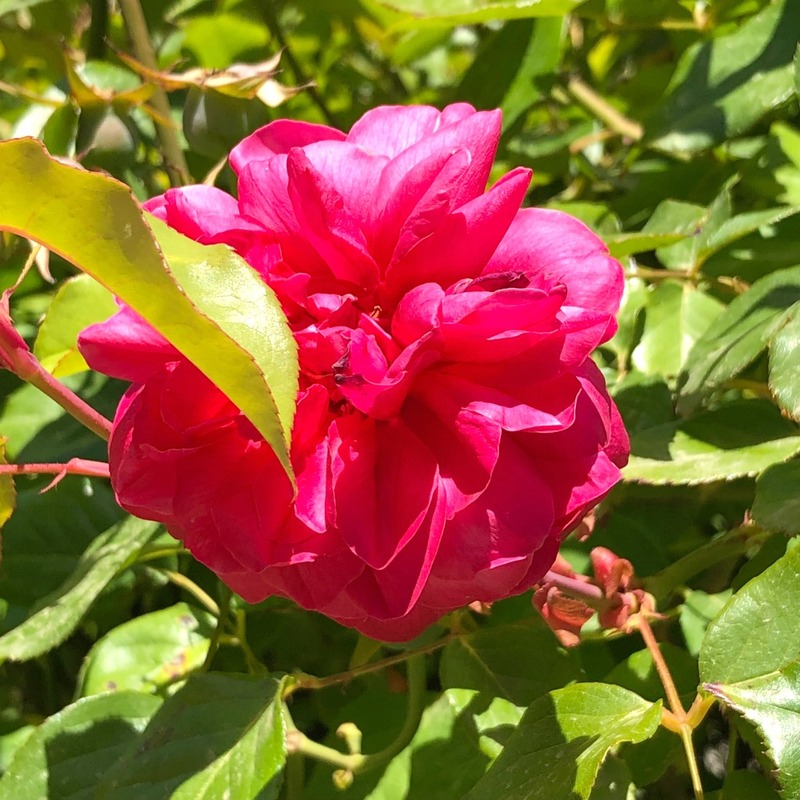 If you’re looking for somewhere to stay in Eaglehawk Neck, check out Heather’s Airbnb ‘Doo Stay.’ Here are my top tips for picking the perfect Airbnb. If you’re new to Airbnb, click my referral link here and you’ll score $55 credit off your first stay! We paid for entrance tickets to Port Arthur but we paid a reduced media rate for our tour. All opinions are honest and my own.